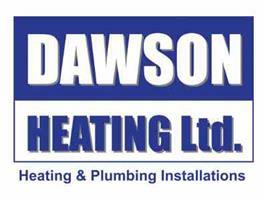 Dawson Heating Ltd - Central Heating Engineer, Plumber based in Worthing, West Sussex. Nick Dawson has been trading in Sussex and Surrey for 30 years and enjoys an excellent reputation for providing an honest, efficient and reliable plumbing and heating installation service. Dawson Heating has an extensive client base built on reputation and a commitment to provide a very high standard of workmanship and customer satisfaction. As trained and qualified Worcester Accredited Installers we provide peace of mind with up to 10 years FREE warranty on any of the award winning Worcester-Bosch boilers we install. Boiler installations, unvented hot water cylinders, underfloor heating, complete plumbing and heating systems, powerflushing, bathrooms, showers etc. Plumbing and heating systems also designed and installed to new builds, refurbs and extensions. We specialise in quality plumbing and heating installations. Please note, we do not provide a boiler breakdown or maintenance service.